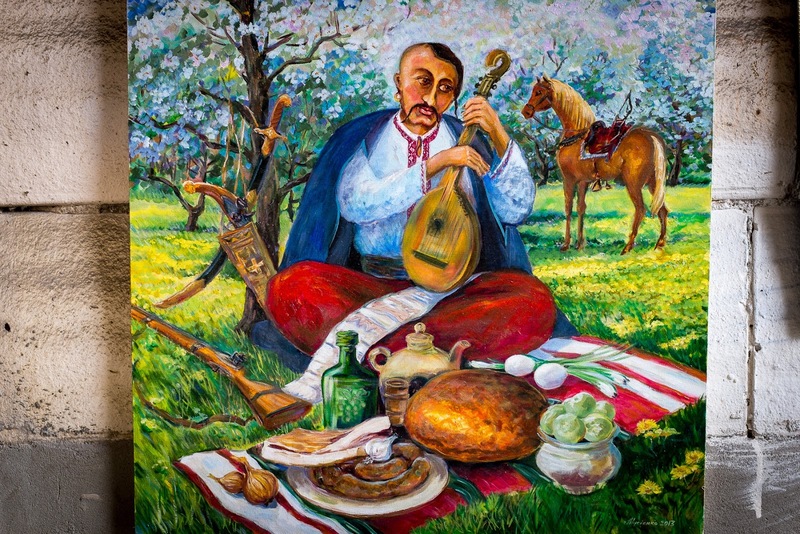 The word Cossack comes from a Turkic word meaning "outlaw, free person, adventurer." 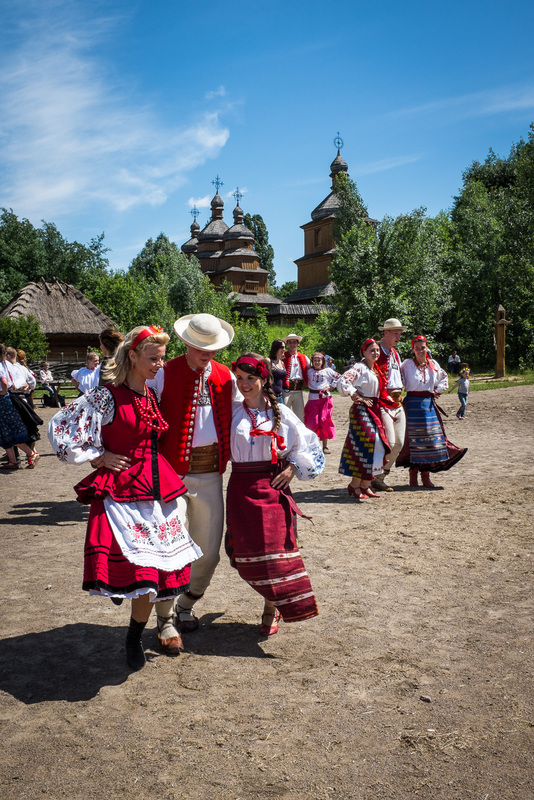 Cossacks excelled in horsemanship, military skill, and vodka drinking. 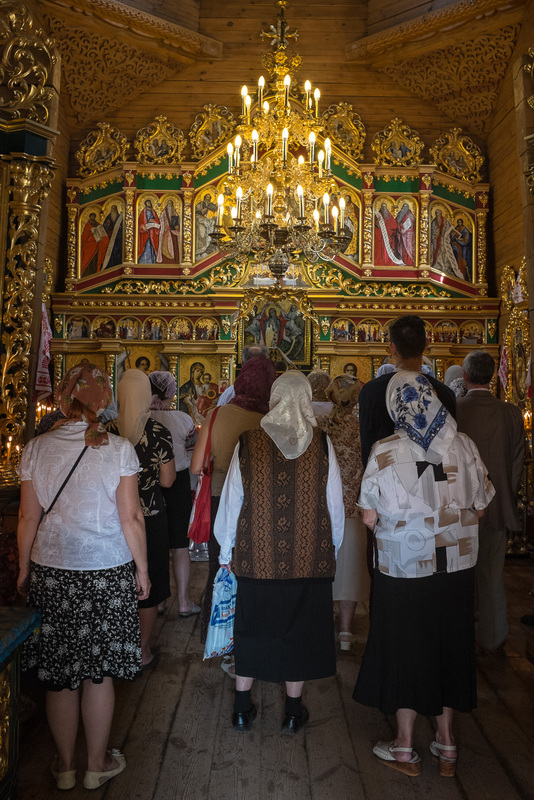 Identity as a "Cossack" is a part of Ukraine's past and present cultural heritage. Cossacks of the past are romantic figures--part French Foreign Legion, part mercenary, and part cowboy. One of Dan's co-workers said every Ukrainian man is brave and strong and has some "Cossack" in him. Then, she said, "that's a joke." This weekend there was a Polish-Ukrainian Cossack event a bus ride away at the open-air museum of Mamajeva Sloboda. 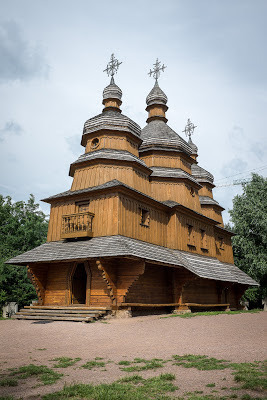 There are Cossack houses, churches, a restaurant. 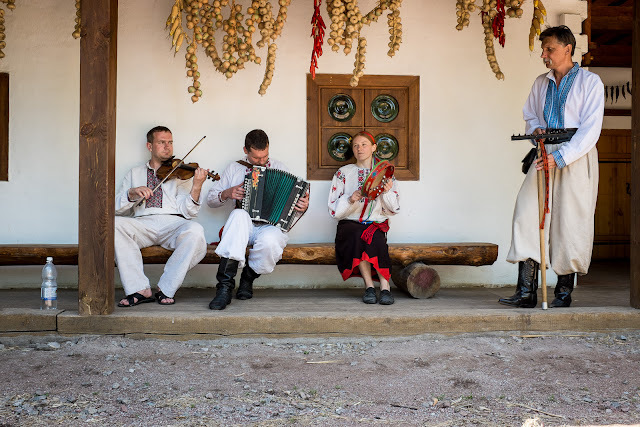 We hoped to see some of their famous horsemanship, but alas, it wasn't on the schedule. This doorway is the traditional shape of a Cossack door. 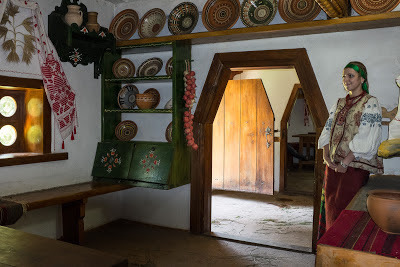 Travelers can tell from a distance that the house belongs to a Cossack simply by the shape of the door. 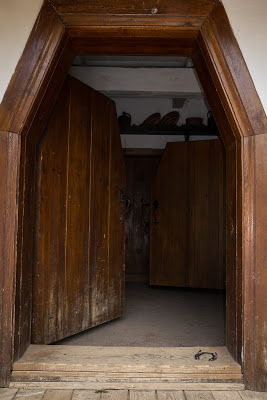 There is always a horseshoe nailed to the threshold. For good luck, step on the horseshoe as you enter the house. This house belonged to a potter. 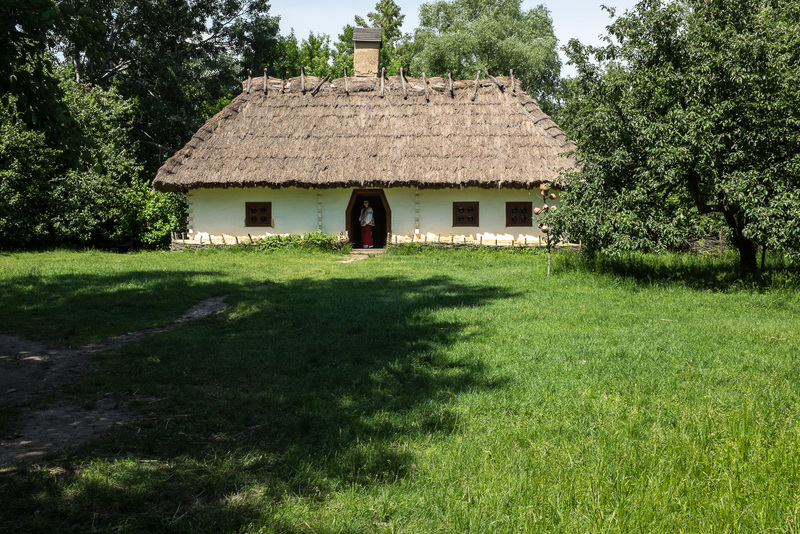 This house belonged to a blacksmith. Fresh grasses are sprinkled on the floor to scent the house. 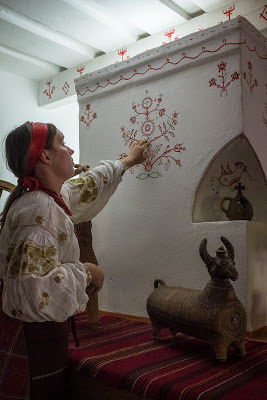 The young woman is explaining that these painted floral decorations reflect the family history of marriages, births, and deaths. The animal shaped figures are containers for storing alcohol. 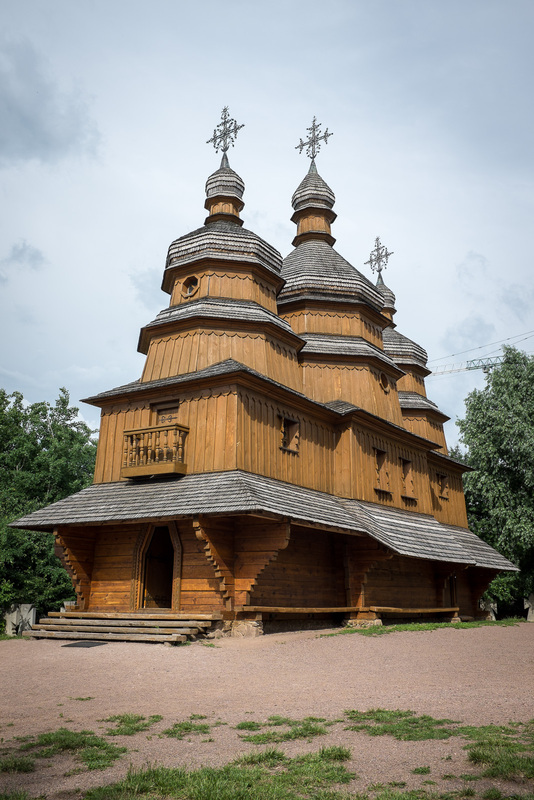 The wooden beams supporting the roof were carved with sun symbols and represented the division between heaven and earth. 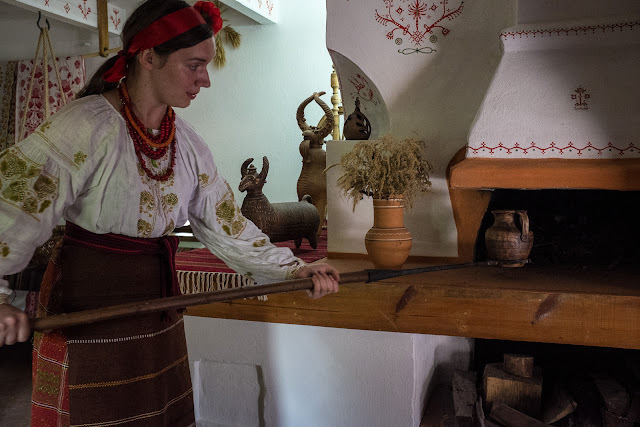 At the blacksmith's house, a long wooden stick with an iron loop was used to place and remove pots from the oven. 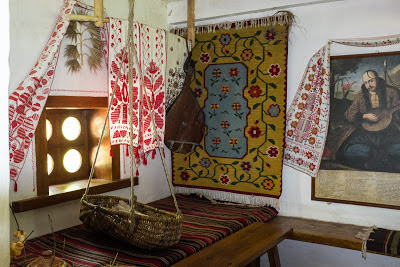 In their free time, wives and daughters embroidered exquisite textiles for the house and to wear. They also might make beeswax candles. 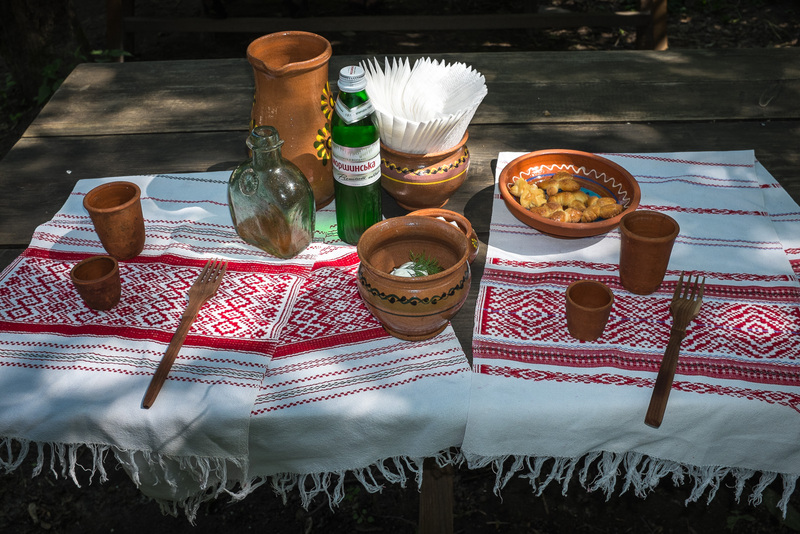 At the small outdoor restaurant, we had a cossack lunch of homemade juice called "uzvar" made from a mixture of boiled dried fruits and spices, a very potent cossack alcohol, potato pancakes, and a dish of cookies shaped like larks. 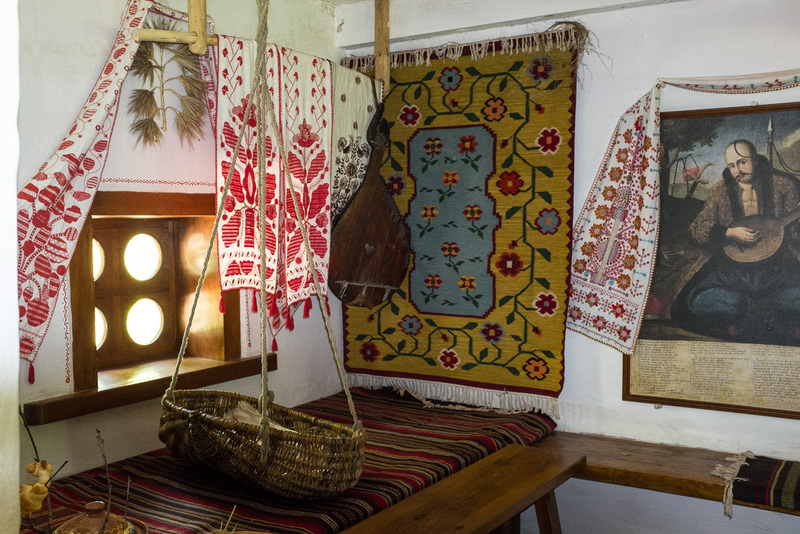 The table was charmingly set with Cossack textiles, terracotta dishes and glasses, and wooden forks. 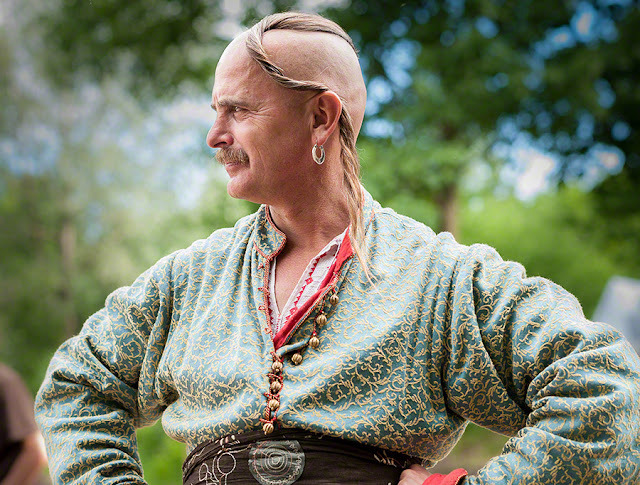 A Cossack with the traditional hairdo, called oseledets, and earring. 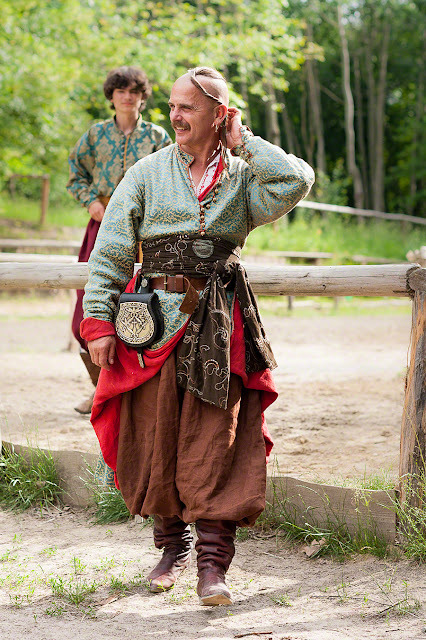 This hairstyle identified the wearer as a Cossack. It doesn't seem very practical because every time the wind blew he had to re twist the lock of hair and secure it behind his ear. Nice outfit, though.